SYDNEY — Football Federation Australia says it is awaiting confirmation of dates for the Socceroos' matches against Honduras in the last, inter-continental playoffs for World Cup spots, while coach Ange Postecoglou is declining to comment on media reports suggesting he will quit after the November games. FFA on Wednesday said the playoff series would be staged during a break for international matches — likely between Nov. 6 and 14 — with Honduras playing its home match first. The return leg will be played at Sydney's Olympic stadium. 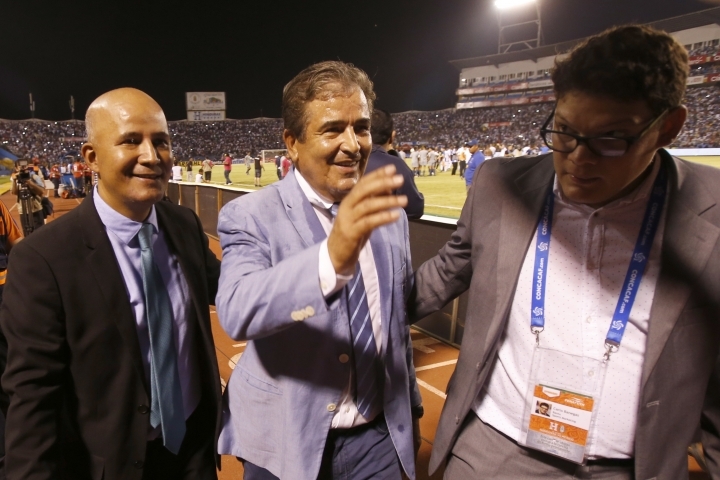 Honduras took the fourth place in the North and Central America and Caribbean group on Tuesday with a 3-2 win over already qualified Mexico. The Socceroos beat Syria 2-1 in extra time in the second leg of their Asian playoff to seal their spot in the intercontinental playoff. The winner of the Australia-Honduras series qualifies for Russia next year. Postecoglou said he realized there had been media speculation over his future — indicating that he will quit his coaching job even if Australia secures a spot in Russia — but he didn't contradict them. "I am aware of reports today suggesting that I will step down as head coach of the Socceroos next month," Postecoglou said. "My sole focus is on preparing the team for our final two qualifying matches. I will not let anything compromise the team's journey on getting to a fourth consecutive FIFA World Cup." Australian media reported that Postecoglou has become increasingly upset over criticism of the team and his coaching style. Australia has only lost one game in the last round of continental qualifying, but has missed dozens of scoring chances and there has been widespread criticism of the team's alignment in defense. 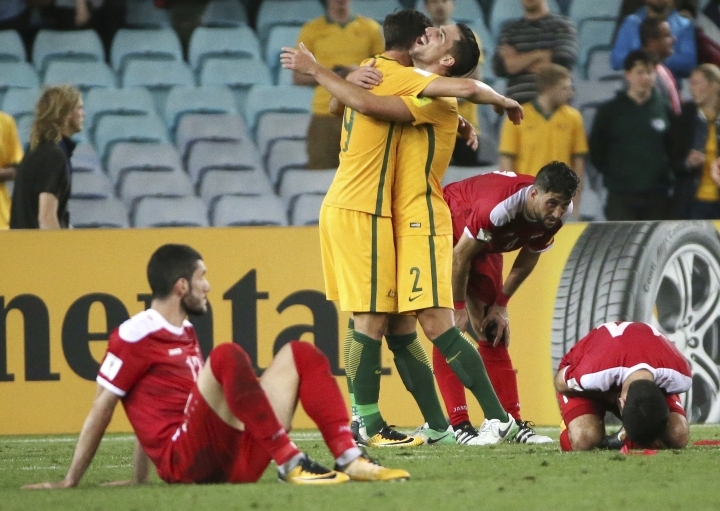 "It just astounds me that people keep thinking this is supposed to be easy," Postecoglou said after the Syria win. FFA chief executive David Gallop said he had spoken to Postecoglou about the reports and agreed the focus should be on the November matches. "Beyond that, should we qualify, there is a period of some months until the World Cup and we agreed that we will need to lock in our set-up as soon as possible to maximize our preparation time," Gallop said.